The statement was sent by the Pennsylvania political consulting firm of Hallowell & Branstetter. As of Tuesday morning, Walker's campaign website was still in operation and had not posted the statement. In the May primary, Walker defeated challenger Roger Howard by more than two to one for the Republican nomination. He was considered a front-running Republican candidate against Democrat Susan Rzucidlo in the Nov. 4 election to fill the seat being vacated by retiring State Representative Chris Ross. Walker's Monday filing with the state Commonwealth Court comes well past the deadline of Aug. 11, which is the usual cutoff date for a candidate to withdraw from the race and be replaced. At this point, county GOP leaders may attempt to convince Ross to run in Walker's place, but that decision will be reached later this week. If the court approves Walker's withdrawal, county committee members of the 158th District would meet as soon as this weekend to select a new candidate. County Democrats were watching the developing situation closely. McGinnis questioned why a candidate would be permitted to withdraw so close to the date of the election when preparations were well underway to prepare the voting machines and ballots for voters. McGinnis said that Walker and the Republican Party owed taxpayers more details about the decision to withdraw from the race. “Should the candidate be allowed to withdraw from the ballot, the taxpayers would be burdened with the cost of reprinting the ballots and reprogramming the voting machines,” he said. “Before the public is forced to pay these costs, it has an absolute right to know why Cuyler Walker is so urgently attempting to withdraw at this late date and well after the legal deadline, or if this is all a ruse by the Republican Party to hand-pick a more electable candidate." Walker lives with his wife and two children in Kennett Square. 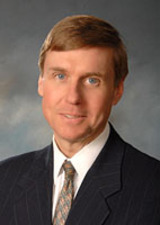 For more than 20 years, he has practiced law in Chester County as a partner at the law firm of Pepper Hamilton LLP, where he counsels clients in corporate governance, mergers and acquisitions, and securities law matters. For the past 17 years, he has been a township supervisor in East Marlborough. He has served as the chairman of the supervisors for the past nine years. As of Tuesday, Walker had not issued any more information, and was not available for comment.